Sometimes a special tool requires special protection. 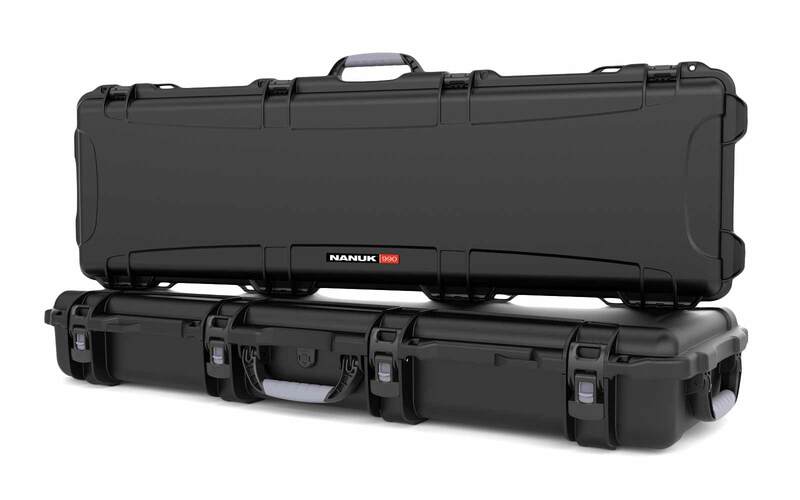 That’s why Hard Cases offers a line of Nanuk products specifically designed to transport your valuable media and video equipment. If you need to transport a specific device, such as a GoPro, DJI Osmo, or DJI Phantom, our specialty cases offer hard laser cut foam that has been perfectly customized to the task at hand. Are you afraid that your fragile quadcopter will brake during the trip to your next shooting location? With our specifically designed media cases, not only will you get shockproof protection, but you’ll also receive waterproof and dustproof design. This is perfect for the adventurer who wants to capture beautiful film across the globe. Need to deliver a shake-free, perfectly leveled shot? 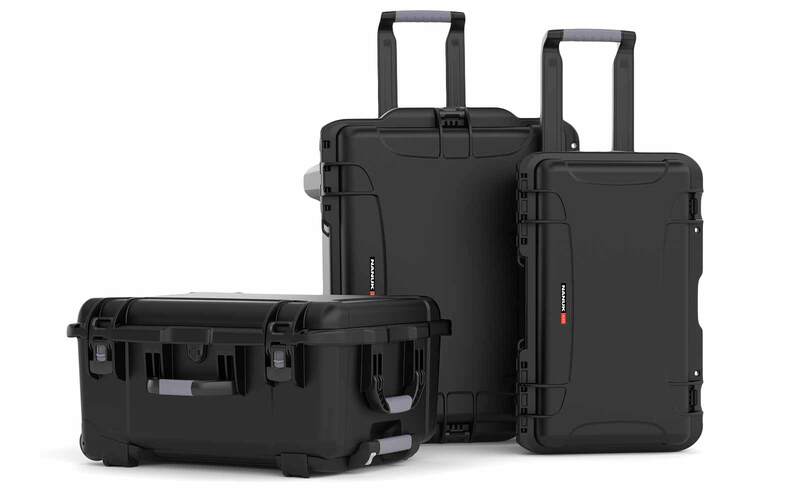 Transport your DJI Osmo with confidence in our dedicated hard case! The violin case it comes with may transport the main device, but ours is designed to accommodate all of the accessories, including your batteries and charger. Impact resistant lightweight NC-7 Resin, designed to keep your DJI Mavic, DJI Phantom, or DJI Osmo shockproof and easy to carry. Hard laser cut foam designed to fit your device and its common accessories, with a snug fit. PowerClaw latches that will keep your equipment secure throughout your journey. Dustproof IP6X Rated seals that keep your lenses and moving parts free from corrosive dust and sand. IP67 waterproof gaskets that are designed to maintain a perfect seal, even after years of use, so that all of your electronics will stay protected. Innovative pressure equalization technology so that, no matter the altitude or outside conditions, your sensitive electronics will stay functional. An ergonomic handle and load spreading shoulder strap for maximal comfort. 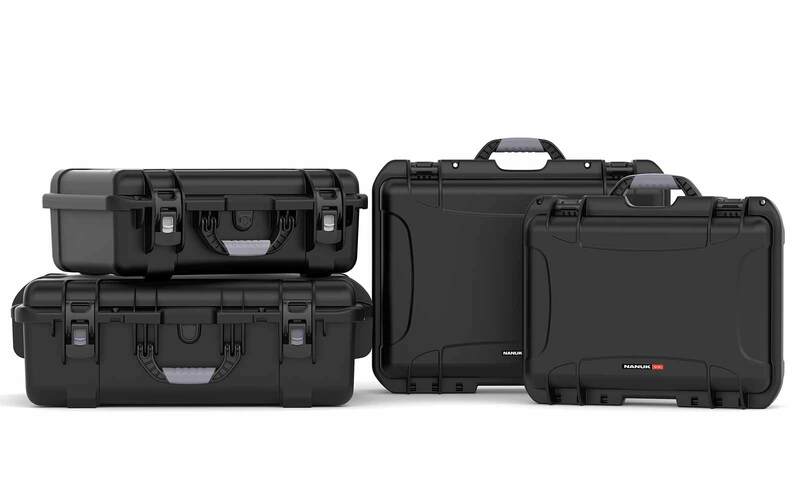 If you’ll accept nothing less than perfect video, and want to avoid technical difficulties while you’re shooting, trust our media hard cases with all of your film equipment. And stay comfortable while you’re at it! 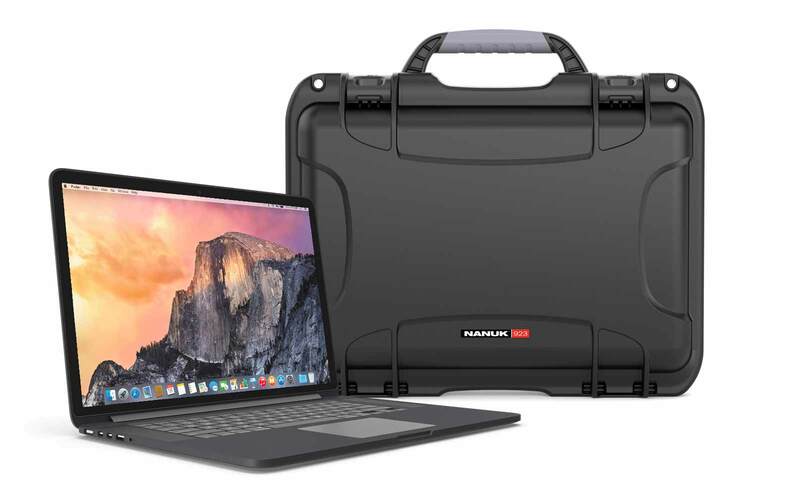 While our Nanuk cases can manage any scenario you throw at them, at Hard Cases, we believe that the best defense against damage is prevention. That’s why each of our media cases are designed with portability in mind. 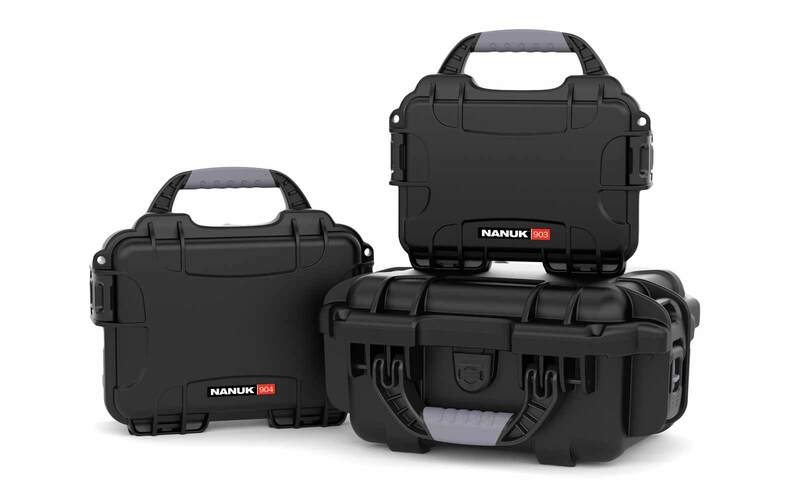 Throw it securely over your shoulder with an optional Nanuk load spreading shoulder strap. Or keep it handheld with our ergonomic handles. 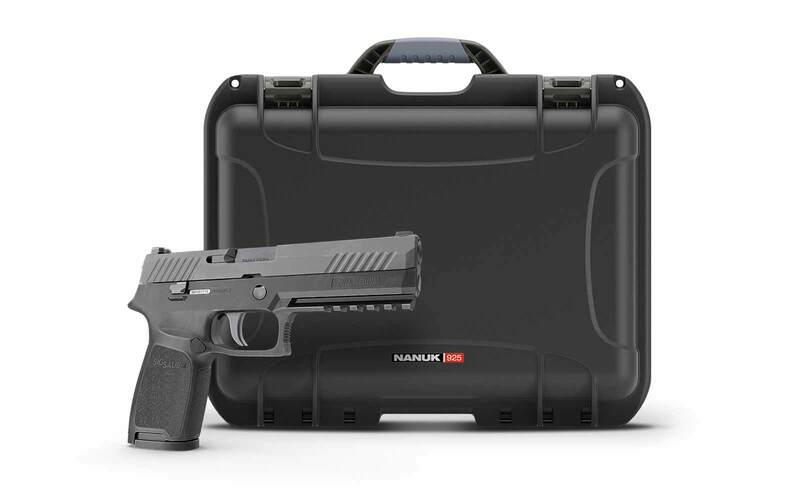 We deliver protection and portability in one compact package. If you drop it, your device will be safe. But with our convenient and comfortable design, you’ll be able to keep it secure with ease. 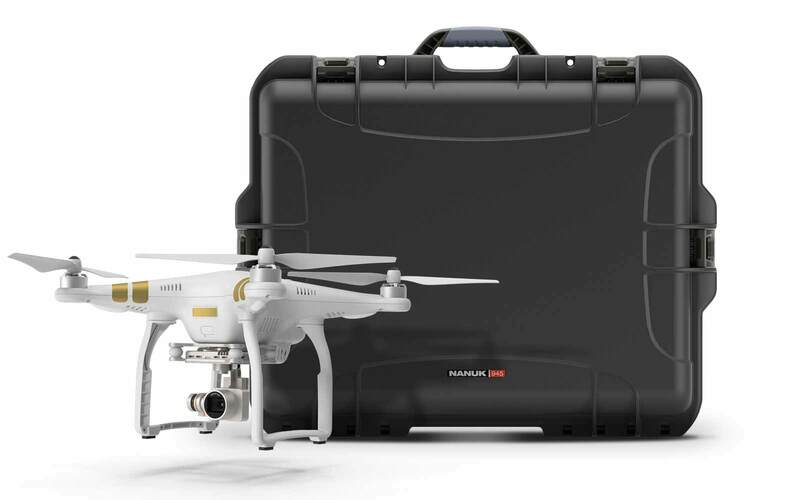 Available Models Include: Nanuk 910 DJI Osmo, Nanuk 945 DJI Phantom 4 Hard Case, Nanuk 950 DJI Phantom Hard Case, and Nanuk DJI Ronin-M.
You’ve invested in your top-of-the-line video gear. Why not protect it? 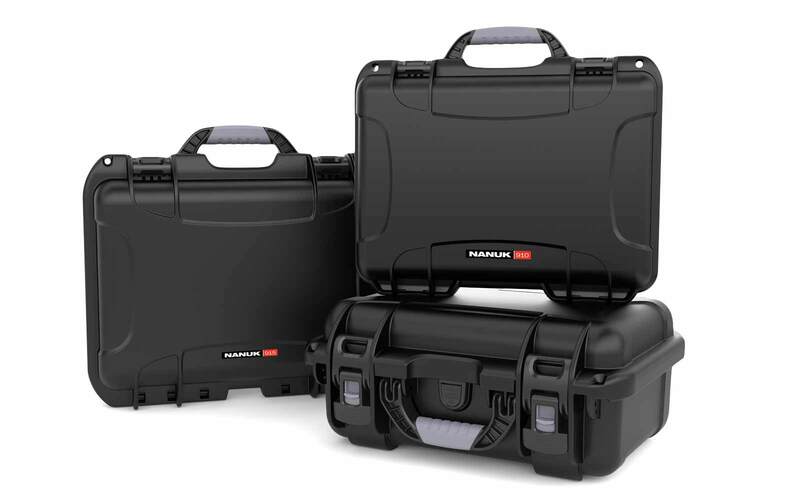 With our portable custom made Nanuk hard cases, you’ll never need to replace your GoPro, DJI Osmo, DJI Phantom, or DJI Ronin-M.
To see more sizing and feature options, click here to explore our full selection.